Fashion Fallows: Confessions of a bad blogger: Part Two! Ok..... So... I have been AWOL from the blogging scene for a loooong time now! Over two months in fact- which is just NOT acceptable, so this post is starting off with a big sorry to any Fallowers out there who have missed reading my little ramblings! I do promise that it was not just me being lazy or losing interest in the blog (far from it!) I have simply just been a very busy bee! My last post was the very end of August-- which meant one thing.... The return to Uni! So I have literally been swamped with deadlines. Not only that, my new job was taking up masses of my free time and with my placement on top I was finding it a tad difficult to juggle and as a result Fashion Fallows has suffered! However, I am determined to get it back on track, although my blogging skills are a little rusty so please bear with me! I do have something very exciting to announce so please keep your eyes peeled for my next post as it is definitely something that will interest all fashion lovers out there! And I promise you will not need to wait more than 24 hours!! I used photography and editing on Photoshop/Illustrator to create the designs for my cards so they were completely personalised by myself. I then uploaded them to a fantastic website called MOO ! 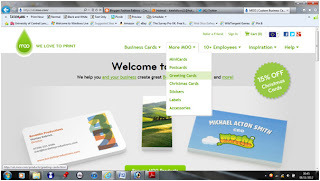 In the past when I have need to create businesses cards I have always used Vistaprint as it is supposed to be a cheaper alternative, but by the time all of the add ons have added up, you end up paying an absolute fortune! MOO, on the otherhand was brilliant- you can upload up to 50 different design covers for your cards and not pay a penny more than the stated price!! And starting from just £10.99 for 50, I think you get really good value for your money! It was also so easy to use, you simply upload your chosen designs, create a profile on the back and send to print and you will soon be the proud owner of your own set of business cards! The quality is great- I was so pleased as they had such a proffessional finish! They also offer other printing services including postcards and even greetings cards, so if you want to make your Christmas cards that little bit extra special this year and design them yourself I would highly recommend this site! I would note, however, the delivery can take up to around 7 days or more, depending on your delivery method and when you order it so do be careful if you need anything delivered for a certain date! Check out my cards and as always I would love to hear your thoughts!